2. 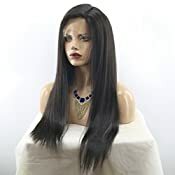 Hair Material : 100% Virgin Human Hair Wigs. 7. Length: 16-24inches in Stock. 8. Knots: Lightly Bleached Knots (Avoid Shedding Problem), Single Knots Around Hair Line. Double Knots For The Rest. 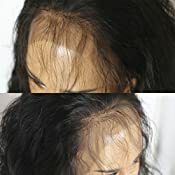 9.Quality: Natural Hairline, Baby Hair Around the Periphery, Minimal Shedding. Tangle Free, Very Soft and Smooth. 1.Wash The Hair Gently With Mild Conditioning Shampoo Warm Water. 2.Rinse The Hair in Warm Water Towards to The Same Direction. 3.Brush The Hair Gently in a Downward From Top to End.It's Important. 4.Lay Flat The Hair And Leave It Natural Air Dry. 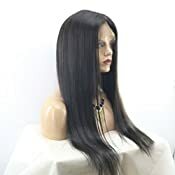 Q1.Hair Smell:Factory wash the hair with warm water and shampoo, and we will put hair oil to hairs before shipment ,protecting the hairs to from being dye during long term delivery. Please pay attention to that the smell will disappear after washing it with good shampoo. Q2.Tangle:The hair can tangle due to dry ,oil and dirt,please do not comb(even the wide tooth comb) it under this condition. Make sure to wash your hair twice a week. 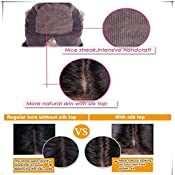 Q3.Hair texture: Wave/curly hair was made by steam without any chemicals ,so the texture will be looser after washing,please kindly understand we do it for maintain the hair life time and natural state. Q4.Hair care products:Please use the good quality shampoo and conditioning products, conditions the hair is very important to make it soft and manageable. Let it air dry instead of blow dry. 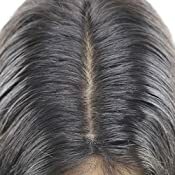 Q5.Split:Only virgin hair will have the split ends, our hair will have a little dry after leaving a donor hair because it lost human nutrition. You can put some olive/argan oil to make them good. ??? Unprocessed Virgin Human Hair, Soft, Smooth And Glossy,Full and Thick. We Are The Factory With Over 20 Years Experience, And The Top Supplier To Over 70% Wholesaler. We Guarantee That All The Hair We Have Are Top Quality Human Hair. Quality Control: Double Knots Avoid Shedding, No Tangle. Bleached Knot. 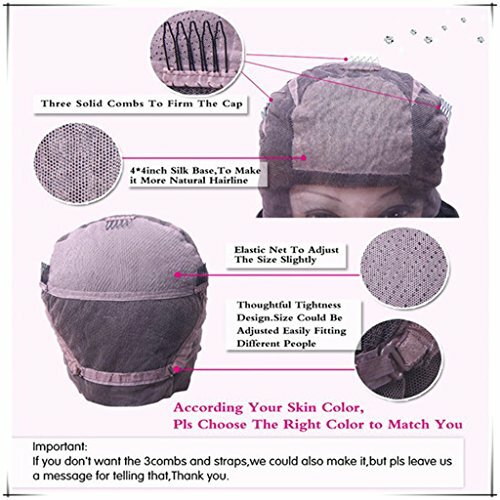 Free Part, His Wig is Designed to Part The Hair Anywhere You Desire.New Baby Hair Around Perimeter. Natural Looking and Like Your Hair. 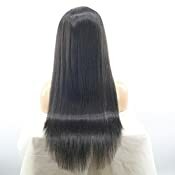 Unprocessed Human Hair, No Chemical. Kind Remind:The Wig Can be Returned as Long as It is in It's Original Condition Including The Excess Lace in Front and Back Uncut!